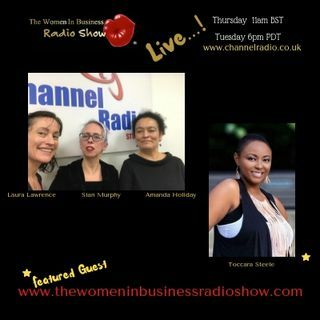 Starting the year Goal Centred and Laser Focused with some inspiration and motivation with Toccara Steele, CEO of VOS International who is calling in live from the USA. It the studio with Artist, Film Maker and Poet, Amanda Holiday and we hear her story and ideas for recognising if you're in a rut, getting out of it and reinventing who you are. With host Sian Murphy and Co-Host Laura Lawrence and Kelly Culver tweeting live updates.